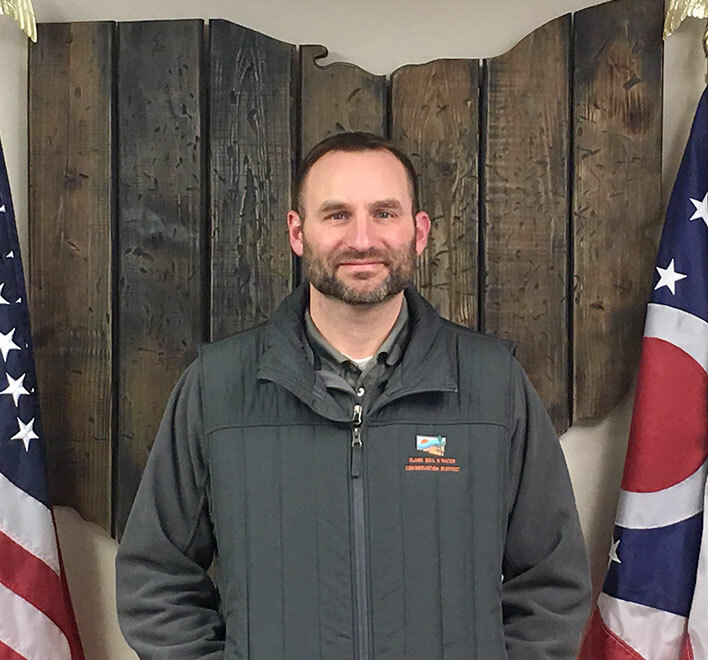 Jereme Best is a 1997 graduate of Greenon High School and a 2001 graduate of the Ohio State University where he received a BS in Agriculture with a Major in Landscape Horticulture and a Minor in Agriculture Education. Water and soil conservation education for Clark County FFA students and county landowners. Provide technical assistance in stormwater management and conservation to various government entities. Provide soils and drainage reports and technical assistance to various government entities for any issues relative to natural resources management in development areas. Apply state of the art technology for Clark County surveying and water quality conservation.